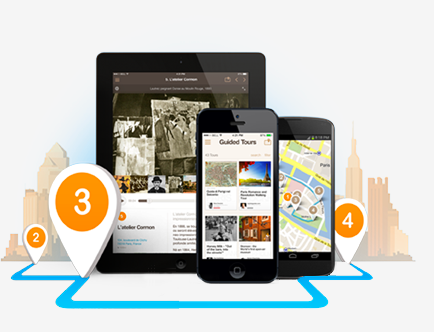 Follow each story from one stop to another on an integrated map. Move along at your own pace. 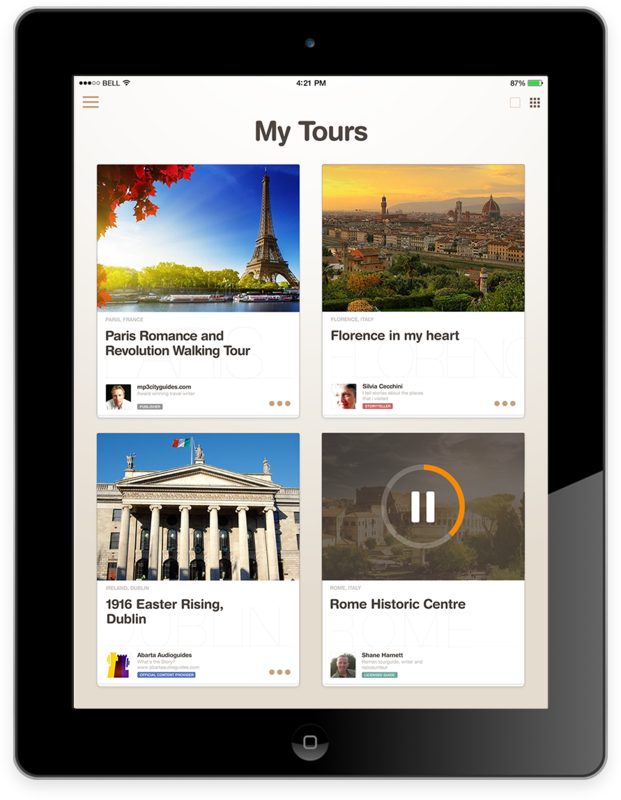 Find guided tours by the location you want to visit or by topics that interest you. Download tours and use them offline. Each author tells his story of a place he is familiar with. 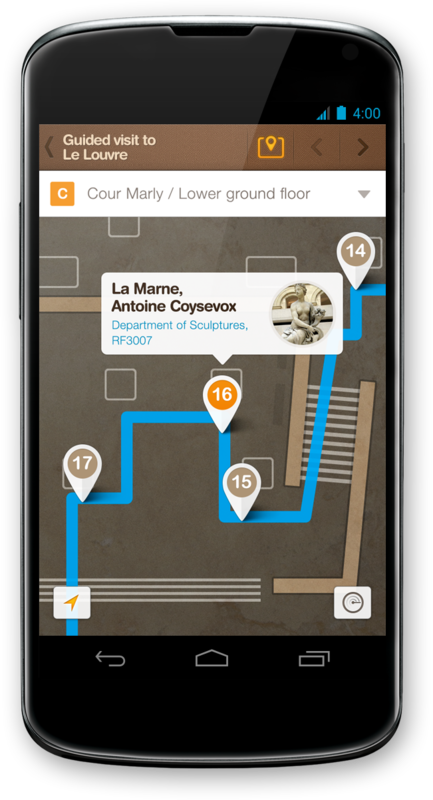 Tour stops are loaded with sounds, images and texts that work together to immerse you in the experience of visiting new places like never before. Each GuidiGO tour is full of local insights and valuable information specific to that tour. 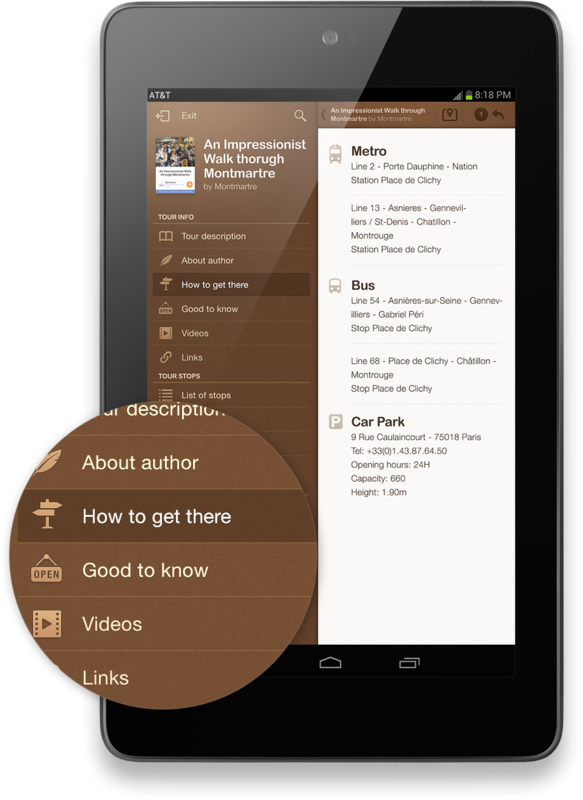 Details include the working hours of important venues, transport information, links, reviews, and more. 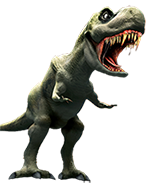 Try guided tours with challenges: treasure hunts, trivia quizzes, mystery quests. Available in English, French, German, Spanish, Italian, and Swedish. 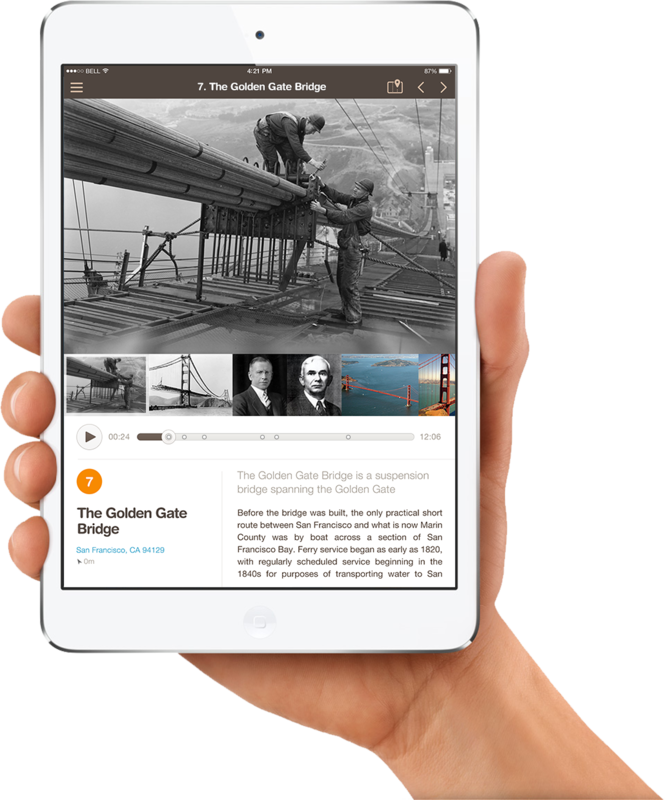 More than 300 fascinating guided tours from a variety of authors… and counting!